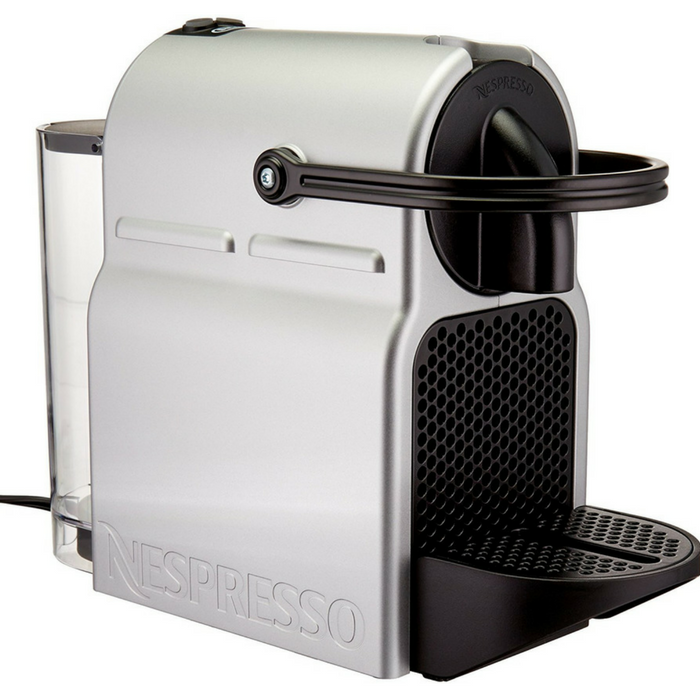 Nespresso Inissia Espresso Machine Just $63.04! Down From $149! PLUS FREE Shipping! You are here: Home / Great Deals / Amazon Deals / Nespresso Inissia Espresso Machine Just $63.04! Down From $149! PLUS FREE Shipping! For a limited time only! Hurry over to Amazon where you can get this Nespresso Inissia Espresso Machine for just $63.04 down from $149 PLUS FREE shipping! With a tiny footprint, compact, lightweight and equipped with an ergonomic handle, the Nespresso inissia by De’Longhi Coffee machine is a smart little machine to make your life easier and fit perfectly into any interior design. Simple to use, it offers and impeccable barista-style Coffee every time, thanks to simple, one-touch operation and patented extraction system which delivers up to 19 bar pressure. A fast-heat up time means the water reaches the ideal temperature in just 25 seconds, while a folding drip tray for taller recipe glasses and an energy saving mode that automatically switches the machine off after 9 minutes make your life easier. Each machine includes a welcome set with 16 Nespresso capsules containing individual aromas.